In 2 Timothy 2:2 Paul encourages Timothy, “…and what you have heard from me in the presence of many witnesses entrust to faithful men who will be able to teach others also.” We at His Voice Global consider Paul’s words to Timothy foundational and consistent with our mission to empower church leaders to make disciples of all nations. This is also a reflection of Christ’s direction in the Great Commission (Matthew 28:18-20) that as we make disciples of all nations we are to teach them to observe all that Christ commanded. Our Foundation of Hope curriculum currently includes six weeks of training with each week containing multiple modules. The Big Story of God - Viewing the entire bible as one cohesive story of God’s redeeming work. The Gospel - Proclaiming the good news about the person and work of Jesus Christ. The Kingdom - A God-centered view of all things that allows us to see the hope He has for His Kingdom, the nations, the Church, and individuals. Missions - To proclaim and live out the Gospel of Jesus Christ where the Kingdom of God has not yet been fully realized. Leadership - Exploring kingdom leadership with Jesus as our model. Spiritual Formation - Transformation through prayer and the power of the Holy Spirit. 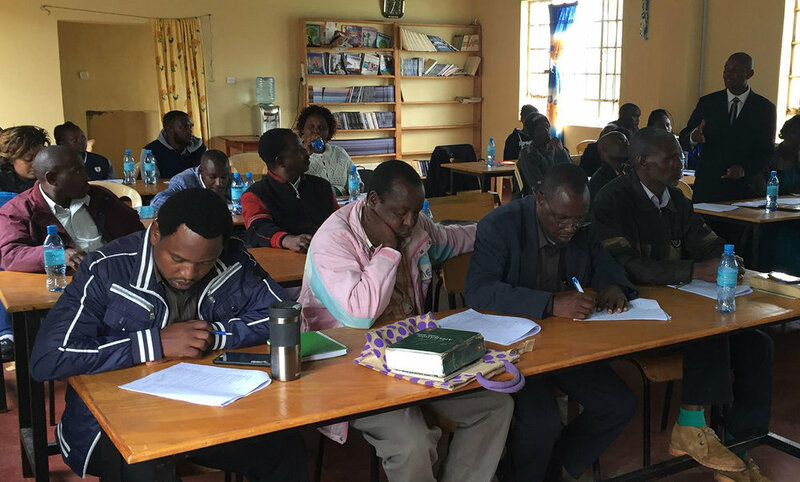 In addition to the Foundation of Hope curriculum we conduct a wide range of discipleship seminars and conferences with our partners. These teachings include many topical discussions, bible study, and explore biblical manhood and womanhood using scripture as our guide. We invite you to participate by praying for us in this training endeavor as we seek the Lord’s direction. It is our hope that as we raise up and equip pastors and church leaders the body of Christ will be strengthened; that those who they shepherd will continue to spread the Gospel and organically live out that Gospel by caring for the widows and orphans in their respective areas; and ultimately, that Jesus will be proclaimed and God glorified throughout the nations. We appreciate your support as we help others help themselves. Should you feel led to join us in support of His Voice Global and this effort, just click the link below.